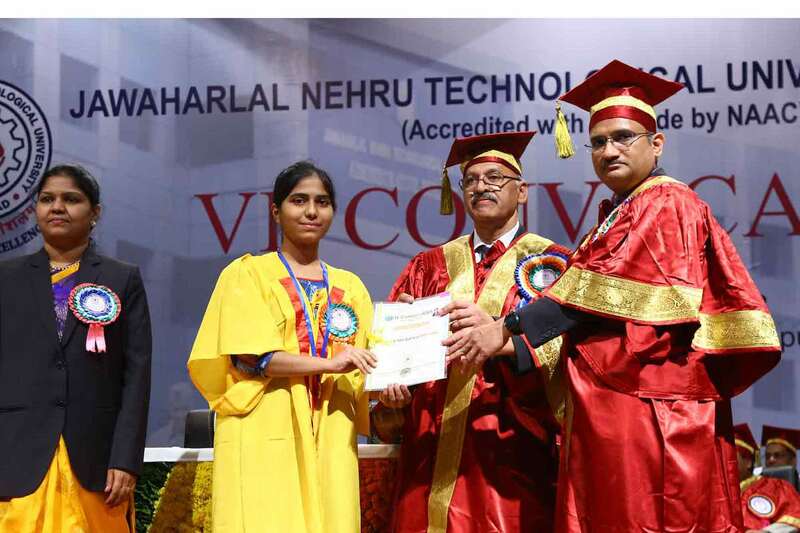 Tombarapu Ravli of BVRIT Hyderabad (ECE, 2013-17 batch) received Gold medal from JNTUH Hyderabad for getting highest marks in Mathematics–I in JNTUH constituent and affiliated colleges. 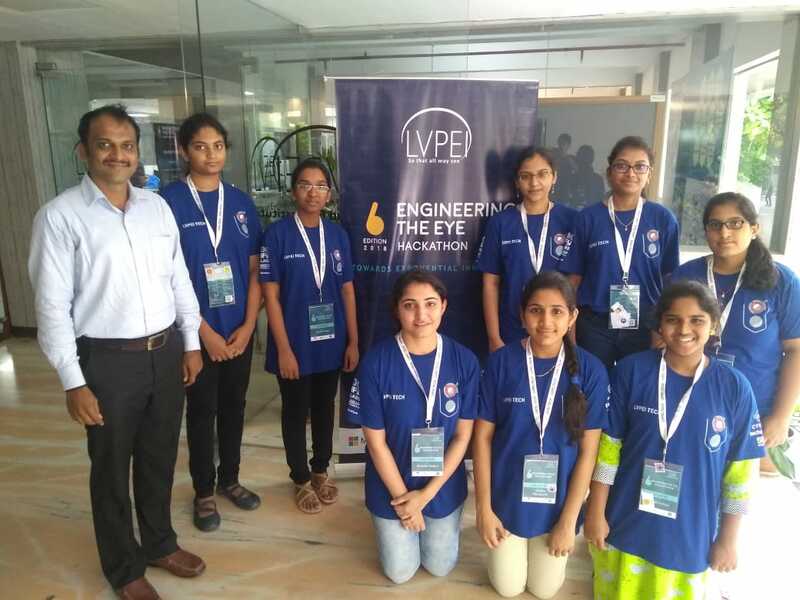 Eight students participated at “Engineering The Eye” hackathon conducted by L V Prasad Eye Institute in association with IIITH, Microsoft and Zeiss. BVRIT HYDERABAD is short listed as only college in Telangana for Best Practices in approved colleges. Ms. Nori Meher Rishika stood First in India Skills Competition -2016 in the “Skill of IT software Solutions for Business” conducted by Skill India, Ministry of Skill Development & Entrepreneurship held on 16th& 17th July 2016 and has received cash prize of ‘One Lakh Rupees’ from Union HR Minister. Proud to announce Sri Vishnu Educational Society has received ‘IMC RAMKRISHNA BAJAJ NATIONAL QUALITY AWARD 2017 – EDUCATION’ a prestigious national level award for performance excellence in Education domain. Dr. K.V.N. Sunitha, Principal received 25th DEWANG MEHTA National Education Award. BVRIT Hyderabad got Top 3 position in the TIMES OF INDIA survey among Telangana State Emerging Private Engineering Colleges. Ms Meher Rishika Noori and Parupudi Srujana Sree of CSE placed in Microsoft with 10.44 LPA. Ms K Sushma and Ms. Kavitha E Nair of CSE placed in Amazon with 7.53 LPA. Ms. R. Hema Sridevi received Bronze Medal as “BEST CADET NAVY”, and also participated in the Best 144 All India Contingent Drill during 68th Republic Day Celebrations on 26th January, 2017 at RAJPATH, New Delhi. 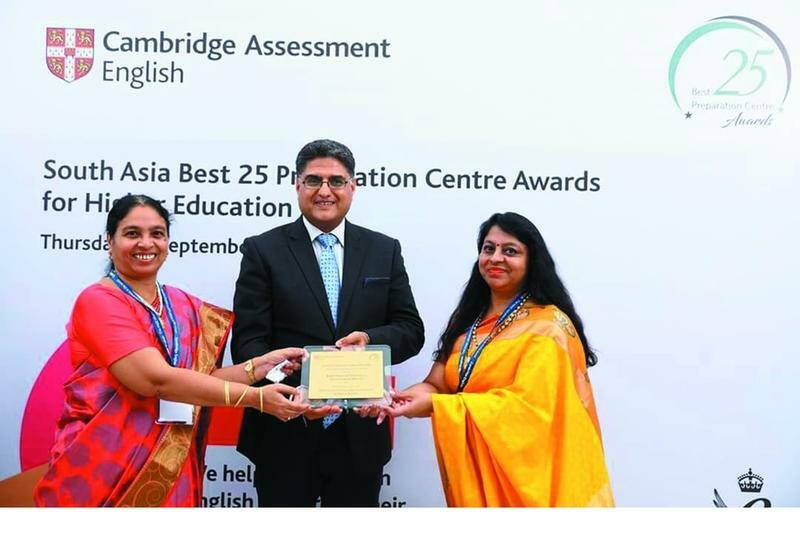 Received ‘Emerging Star of the Year’ award by Cambridge English in recognition of 100% Results for BEC Preliminary Exam, September 2015. Our college is now a Preparation Center of the Year-2016. Ms.Y.Nandini has won II prize in IT Olympiad 2017. K.Sushma and Madhuri Peri 3rd year were selected as a speakers in FOSSASIA 2017 conference held in Singapore. Ms. Damini Satya placed in Salesforce with 19 LPA.